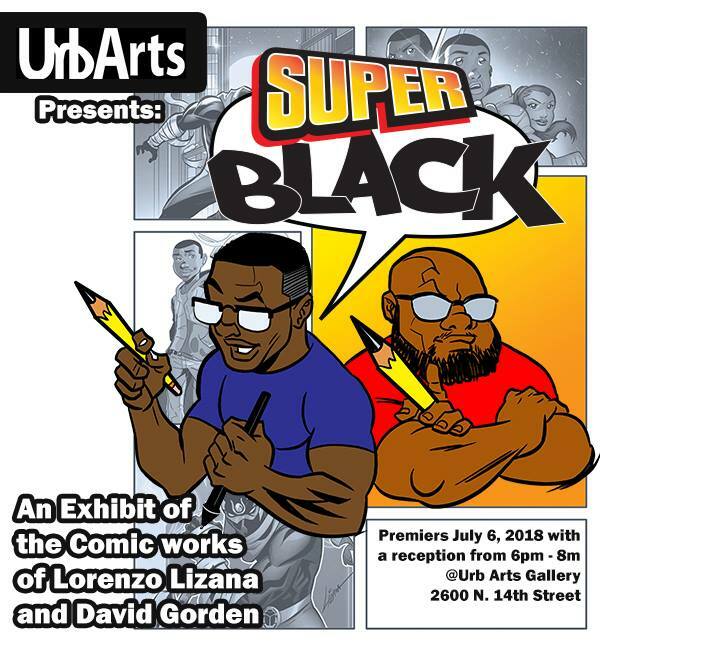 The "Super Black: the Comic Art Lorenzo Lizana & David Gorden" opens Friday, July 6th. In their first exhibition, Lorenzo and David show us the art of their work as comic book creators. Free and open to the public, the opening reception is from 6 pm to 8 pm. Complimentary refreshments. Lorenzo Lizana is an artist and toy designer with a focus on the design, development and production of unique characters, illustrations, toys and art objects for the entertainment industry. His work can be seen in national print and TV advertising campaigns and toy stores. He has 25 + years of character design and product design experience and specializes in comic book art and storytelling. David Gorden is a graphic novelist and IP creation specialist. David knows that today’s world has become predicated on people’s attention being captured by engaging stories and eye-catching visuals and has over two decades of experience creating applying his skills in character creation, sequential art, story boarding, script writing, and concept creation. In March of 2018 David release his original graphic novel Kwame Hightower and the Man with No Name. The book follows the adventures of a 12-year-old boy who inadvertently becomes the king of England after drawing Excalibur from the sacred stone. David is currently promoting the book and looking to expand his characters reach into such areas as vinyl toys, t-shirts, animation and more!